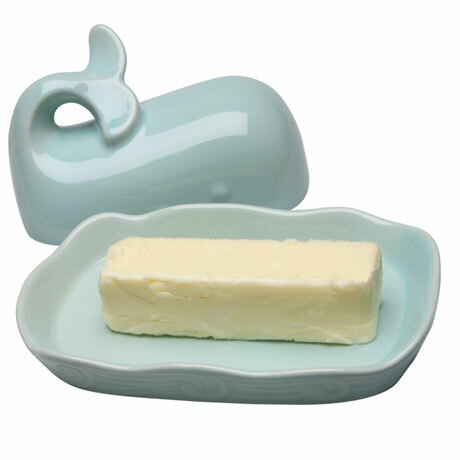 Ceramic with a watery blue glaze, two-part dish holds a whole stick of butter. 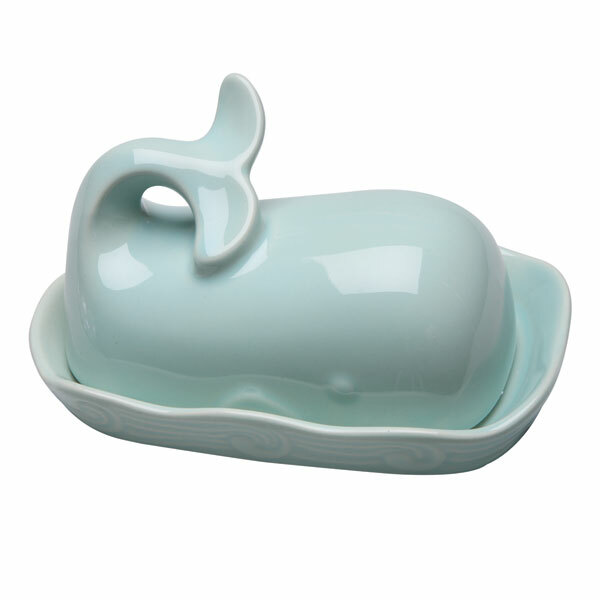 And it just looks good sitting on your table. 7" long, 4" high. Hand wash.